At 1:45 a.m. on August 3, 1918, Carl Theodore Herrmann was awakened by the sound of shattering glass. Hurrying downstairs in his pajamas, he found an angry mob of 100 men who had broken down his door and strewn garbage on his veranda. One of the men shouted that Herrmann had been heard making pro-German remarks. Someone in the crowd pushed an American flag in front of Herrmann’s face and forced him to kiss it. When those in the mob demanded that he give a speech, Herrmann was too frightened to speak. His 20-year-old son, Carl F., stepped forward and angrily proclaimed his father’s patriotism. As the situation began to escalate, police arrived and dispersed the crowd. Carl Herrmann had lived in Middletown over half his life when the mob accused him of being un-American. Born in Germany about 1866, he had arrived here as a young man and began working as a baker for Jacob Stueck, another German. About 1910, Herrmann opened his own delicatessen on Main Street. The Herrmann family was not the only one targeted by the mob. With war fever at a high pitch, anyone with a German surname might fall under suspicion. In Middletown, where the German community was relatively small, each member was vulnerable. Germans began arriving in the city in small numbers before 1850. Unlike many other ethnic groups that came to America to escape dire poverty, most Germans who arrived in Middletown were solidly middle-class. Many were skilled workers who took jobs in local factories, often working their way up into managerial positions. Others had the capital to establish their own businesses. Several bakeries run by German immigrants became longtime city landmarks. In 1893, Middletown’s German community established the German Evangelical Lutheran Church on High Street. When anti-German sentiment ran high during World War I, the congregation had the name sandblasted from the church, renaming it St. Paul’s Evangelical Lutheran Church. The mob that assaulted Carl Herrmann broke into the church the same night. In their 1943 program celebrating the church’s 50th anniversary, the St. Paul congregation proudly listed their “Roll of Honor,” containing the names of 44 young men from their congregation who served in World War II. 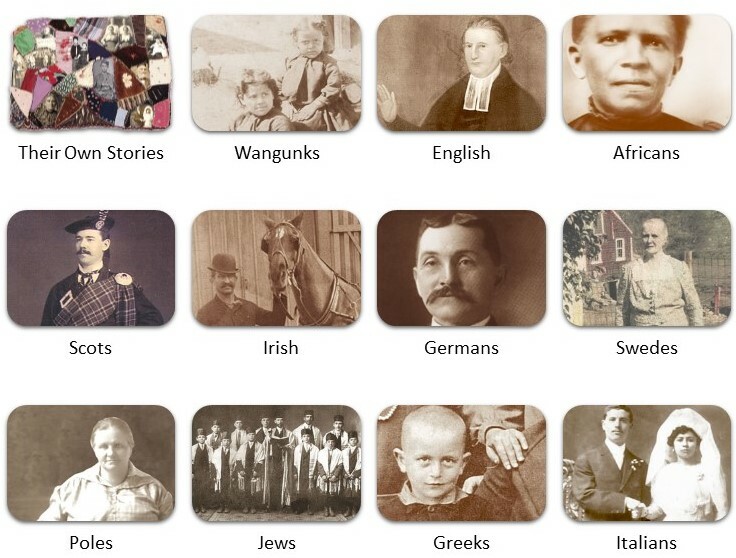 Among them was Jack B. Herrmann, Carl Theodore’s grandson. Maybe it was the smell of fresh gingerbread men that lured Middletown children to Johann Hoffort’s bakery on the corner of Main and Washington streets in the 1860s. When it opened in 1865, Hoffort’s was the city’s first German bakery. It’s not known why Hoffort settled in Middletown, with its relatively small German community. Soon other German immigrants arrived to work for Hoffort; several later established their own bakeries in Middletown. 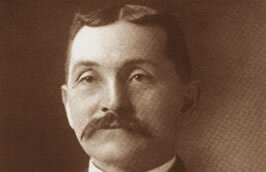 In 1878, Hoffort sold his business to his brother-in-law, Jacob Stueck, and left Middletown. In 1893, Middletown’s German families formed the German Evangelical Lutheran Church, holding their first worship services in the South Congregational Church. Four years later, the congregation officially opened its own church on High Street. In 1901 some parishioners, who felt strongly that Lutherans should not join Masonic groups, broke away from the congregation over the issue, establishing the St. John Evangelical Lutheran Church on East Main Street. During World War I, when anti-German sentiment was running high in Middletown, the church on High Street changed its name to St. Paul Evangelical Lutheran Church. However, many in the German community here had already joined Episcopal or Congregational churches, perhaps as a means of more quickly assimilating into American culture. Worship services at St. Paul were conducted in German for decades. In 1924 the church began offering some services in English as well, at the urging of younger parishioners who grew up in America and did not use German. On Christmas Eve of 1955, a fire destroyed much of St. Paul Church. The congregation rebuilt the church on the same site. The local newspaper reported at length on a 1918 incident in which a mob of Middletown men descended on the home of Carl Theodore Herrmann, a German immigrant who had lived in Middletown for three decades. Anti-German sentiment during World War I threatened all of Middletown’s small German community. Only three men from the mob were convicted. Perhaps what was more disturbing was the report that many townspeople contributed towards paying the fines of the criminals as a show of support. When Carl Theodore Herrmann opened Herrmann’s Deli about 1914, he created in effect a portal to his native Germany. Now Middletown’s German immigrants could get the traditional foods they remembered from their homeland. Other Middletonians also enjoyed the imported specialities that the delicatessen stocked. During World War I, when many Americans became hostile towards citizens of German birth, Herrmann and his family faced violence and threats. Yet the deli endured and after the war became a favorite Main Street destination for generations of Middletown people. Before Carl Theodore’s death in 1939, his son Carl F. took over the business, operating it until 1974. Nineteen-year-old Jacob Stueck arrived in Middletown in 1871 and immediately went to work in the bakery of Johann Hoffort, his sister’s husband. On his family’s farm in Germany, Jacob had grown up in an atmosphere of hard work and self-discipline; in America, his work ethic quickly led to his success. Seven years after he arrived in Middletown, he was able to buy Hoffort’s bakery. Before long, Stueck built an ambitious new building on the northeast corner of Main and Washington Streets. He moved there in 1893, his business expanding to include catering and a retail store. Stueck’s son Philip joined the business and in 1914 built an adjoining structure on lower Washington Street, which housed their new restaurant. Stueck’s Modern Tavern (pictured here) was a popular dining place until its closing in 1939.